Ok, so this Signature Spell Book thing is a special set kinda like From the Vault-style pack of handpicked cards? Is this thread open for taking requests? Because I'd like to request "M15 tri-leveler"/"M15 Tome". Has been done by someone already. This is the link with the auto-copyright and other updates. 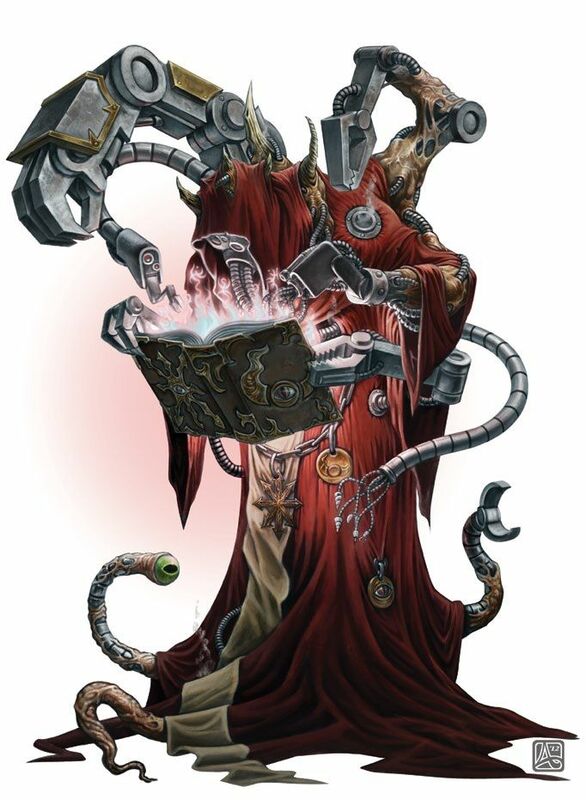 That's not a tri-level Tome style, that's a normal bi-leveler/augment style. Reality Glitch Honestly, I think you could use the Saga template for that, and just change the terms that autofill the first text box. It would help stop them looking so scrunched up, so you could use more complex and powerful effects as chapters. 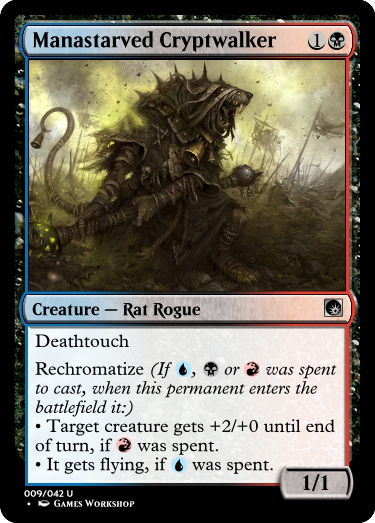 I'm looking for this, but in M15. Yes, I know. I'm suggesting an alternative. Yes, the layout for the Sagas actually works well with tomes as well. 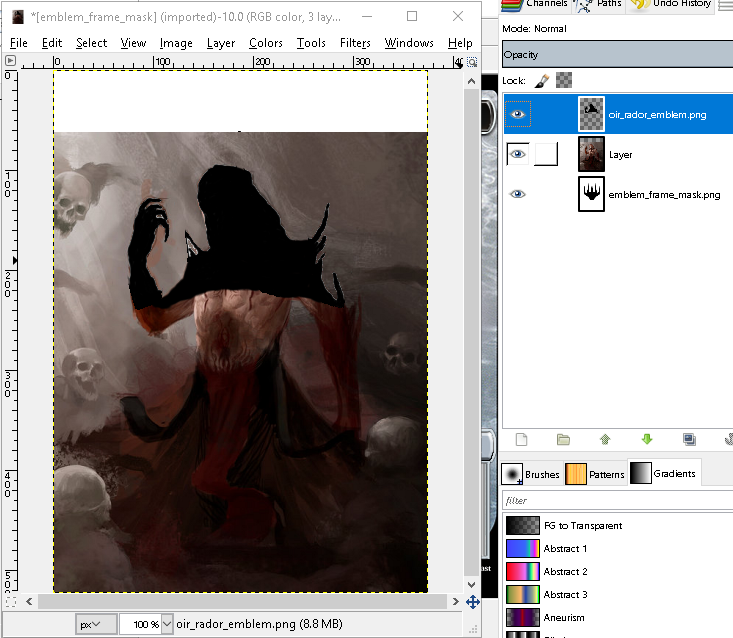 The only issue is that the art window might not fit so well with what you would usually use for art on a tome. I've concidered making M15 Tomes, but I havn't gotten there yet, and it won't happen anytime soon. 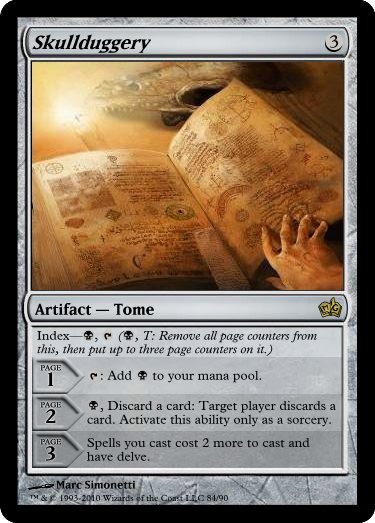 The only thing the trileveler is missing to function as a tome is the little space on the top to use for the Index ability. Well, actually the trileveler would need the same space for the Level Up ability. Maybe you should rework it a little, cajun ? Ah, fantastic! I had played around with the numbers a bit but hadn't gotten it to work quite right. I'll give these a try. Thank you! Cajun I have now installed the 5 fils from your "updated game files". and it works fine. BUT i have a error message that says. I copy the data map before i install new things, so i always can go back to the old one. I can't find a map that should be called that i the old one. So i have not deleted anything as i can see. Hi there. I'm having a minor issue with the Mainframe DFC template. The stamp borders aren't lining up with the rest of the border piping. This occurs when I select any of the border types with "normal" proportions, including the Vehicle, Nyx and Miracle frames. The Planeswalker and Map frames line up correctly but the colors don't seem to match on the Map border, as you can see with the files I've attached. I've tried reinstalling the template and the game file updates without luck. Hope you can provide some insight. As a side note, thanks a lot for your efforts in consolidating these templates. I've been using MSE for a while and it's nice to be able to have everything in one place. Looking forward to more from you. Hi, thanks very much for sharing your templates. In the Mainframe DFC could you add an option to put double watermarks? and Phyrexian Mana, and Energy ? Hello! First time poster and I read through the entire thread and don't know if I saw it or not, but has the flavor bar been added to the legendary frame? I don't think I saw it here and I don't know how to navigate through MSE outside the basics. 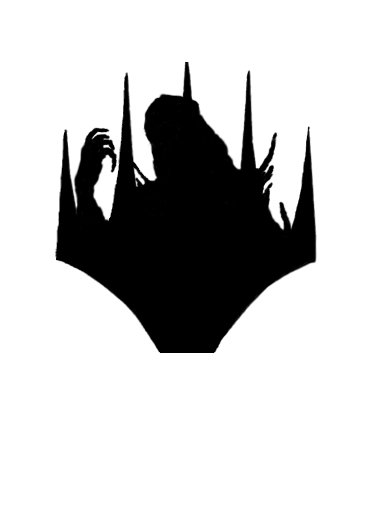 Is there any way to make a version of your 'copy-token' template to be a planeswalker version? Like to do up a proper version of the tokens of Jace, Cunning Castaway? Also, maybe a 'clear' legend-token frame? 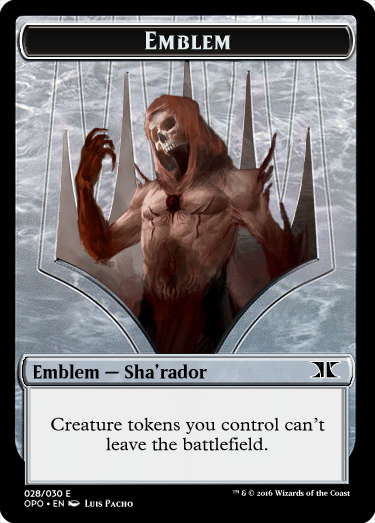 Like how you'd do a Kaldra token? The legend-token template doesn't have a clear variant. Hi Cajun, first post here ! 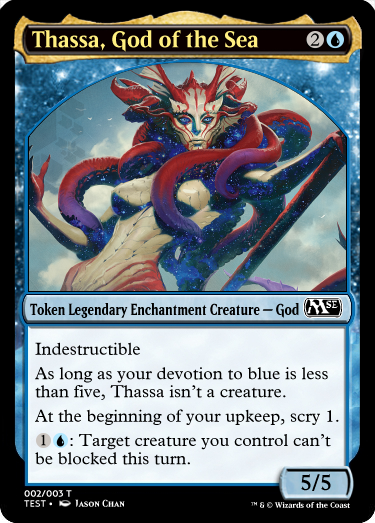 Is it possible for you to create a template for legendaries theros god ? I mean the new legendary frame from dominaria with the template of enchantment creature from theros. I don't think Cajun can do anything for them until they have an idea as to what they (the frames) could possibly look like, which, currently, we don't. Last Edit: May 25, 2018 0:12:19 GMT by jrzman: corrected because original version insinuated I had the ability to create the frames, which I don't. What the Legend frame does is to expand the name field and make it flashy. What the Nyx template does is add stars to the frame border. So a Legend Nyx template would do both. But I do not doubt that Cajun might make a "single card" Mainframe template sometimes soon, when he finds out wich templates he wants to include, as well as a way to avoid the stack overflow issue. Actually, I have a "single template" style already. 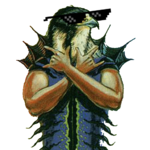 It hasn't taken mainframe into account, but I'm confidant in it's quality to handle m15, token, planeswalker, legend, nyx, saga, and meld/pokemon. I'm still working on leveler/augment, split and fuse split, though, aftermath is mostly functional. I've got a separate version for double-faced cards; while I could combine them, there would be an annoying block of whitespace. I have yet to get around to adding functionality for old/timeshifted, planeshifted, futureshifted, modern, classicshifted, rulestip, counter, checklist, emblem, masterpiece, planechase, archenemy, or Magic Vanguard. Sure, the code is complex, but aside from some trouble with the split template, it's running pretty smoothly. I've been working on it for at least a couple years, so that has also helped. Haven't really encountered anything like that yet. Thanks for the warning, though; I'll be on the look out for it as I continue with development. I might have missed it but is there a template for the new legendary frame with a flavor bar? Today we introduce fourish new frames into the Mainframe family, and welcome four older frames into the fold via some updates as well! Flavor bar offset: Brought over from M15 Flavor Bar, this allows you to tweak the placement of the flavor bar when the equation goes a bit off. Where's the flavor bar you ask? Use Flavor Bar: Enabling this will use SirnightNano's flavor bar on supported frames, currently M15 Mainframe, Mainframe DFC, M15 Future, and Mainframe Tokens. This is actually an update and a new frame! There were a few errors on the original two frames which have been corrected. There is also two new frames that are mirrors of the originals into the Magic game, finally allowing you to have Plane cards in the same set file as normal cards. Unfortunately you won't be able to copy-paste old cards into magic sets and will have to remake them. The Flavor Bar and Legendary Crown have been added to mDFC, and mWalkers has had it's Style tab cleaned up and some bugs fixed. Both have had their rarity symbols recoded to work with Mainframe Rarity. Fusable Splits was made back when I was unsure if this little project would ever get off the ground. Now that it's nearing completion it's time to let the little fella join the party. The template will remain the same but has been updated with the Mainframe specific coding and will receive any further updates to it. And then there are the oddballs. There aren't enough variations on these templates to really consider them mainframing (tho Saga is arguable), but they also can't be folded into another template smoothly. Regardless, they've gotten the rarity updates and Future has gotten the flavor bar. These frames are unlikely to be added to any current template (possibly DFC) and would be the launching point for any Mainframe Flip, Future, or Saga template that might happen one day. Finally, there's been a handful of updates in the Magic code, covering the Dominaria and Battlebond keywords, addition of Planes to the type dropdown, and some touchups to mana symbol and counting scripts. And while waiting for all those files to download, I updated the Namecheck Exporter with Dominaria and Battlebond! Mainframe is an umbrella name for a series of template overhauls working with similar code and philosophy. 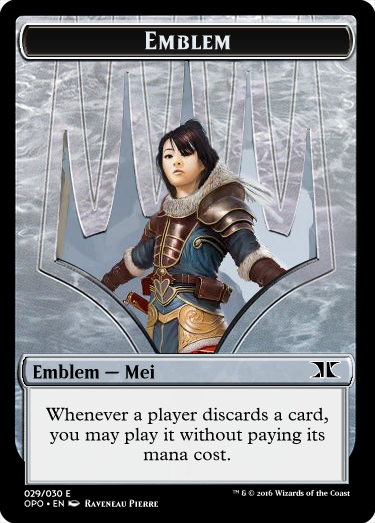 Due to limits in MSE's coding, each major layout needs its own template to function properly, which is part of why it is split into normal, planeswalker, token, emblem, splits, DFCs, and offshoot cards that fit none of those. Download your frames of choice, unzip them, and move all the .mse-whatever folders into your MSE/data/ folder. AMAZING! The masters do it again! Tremendous job!! I believe this pretty much answers every request I would make. Keep up the great work. I don't know if it's just you Cajun, but to everyone who keeps pumping out these awesome templates, I believe I can speak on behalf of the entire forum, I just want to say thank you. You've made this a fantasy card creator's paradise. There was a minor big introduced that could cause errors such as "Pay life" that has been corrected in the download links. For those who have already downloaded, here is the patch, simply save this to your MSE/data/magic.mse-game folder. Wondering if this is something I can do with the frames here? 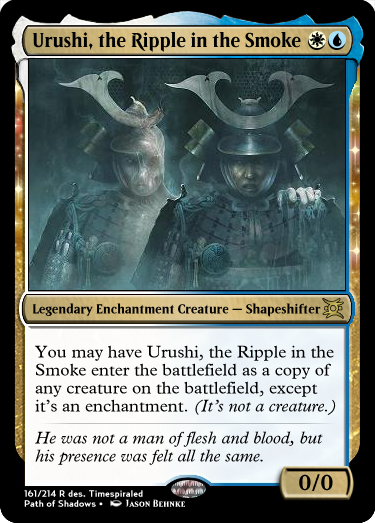 This was done using the Udelude's M15 Template based on the M15 Extra template. Booping in for a minor update to the watermarks file, adding some darker images to be used by the Story Spotlight on land cards. You will be fine if you don't update this, it's just nicer for people who are after the dual land story spotlights. oddnanref none of the templates here support that no. EDIT: Another bugfix, Auto-legends stopped working for mainframe DFC, can add this file to MSE/data/magic-m15-mainframe-dfc to fix it. I'm getting the following error message. The package 'magic.mse-game' (version 2016-01-11) is out of date, version 2018-06-01 is required. What I need to do to fix this? Does anyone have what I need if it is a download?